Every little kid loves farm animals! 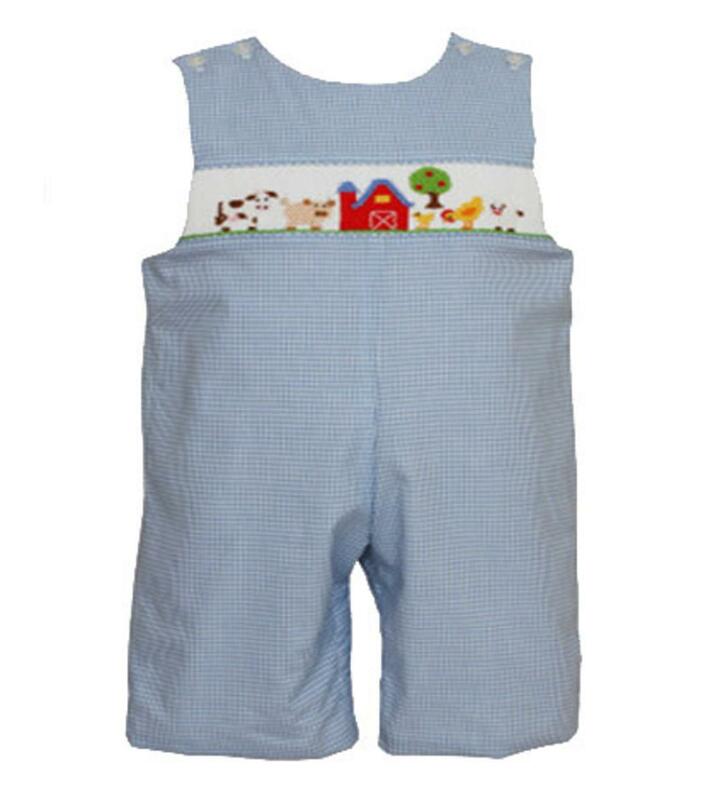 This blue and white checkered long romper has farm animals and a little red barn hand smocked around the chest. This longall is adorbale on and can be warmer if you add a longsleeve underneath or you can wear the sleeveless if it's not too cold. It has 4 buttons on the shoulders and down the inside of the legs for easy diaper changing. This is 100% cotton.